WEDNESDAY, Feb. 3, 2016 (HealthDay News) -- An experimental drug for the treatment of nasal polyps has shown promise in a small, preliminary trial involving a group of patients struggling with chronic sinusitis. Dupilumab, which is injected, is aimed at helping those patients who do not respond well to current first-line treatments, such as corticosteroids. "The more severe patients are the target of the new treatment option," explained study author Dr. Claus Bachert, head of the Upper Airway Research Laboratory at Ghent University Hospital in Belgium. "A new treatment is needed because the currently available treatments -- nasal and oral glucocorticosteroids and surgery of the sinuses -- are often insufficient to control the disease and may have side effects," he added. Bachert and his colleagues published their findings in the Feb. 2 issue of the Journal of the American Medical Association. The study was funded by Sanofi and Regeneron Pharmaceuticals, Inc., the manufacturers of dupilumab. The study authors noted that chronic sinusitis is a common ailment, affecting an estimated 12 percent of those living in Western nations. Roughly one-third of those patients have a specific form of chronic sinusitis characterized by the presence of nasal polyps. Though the polyps vary in size, such growths are typically small, benign and teardrop-shaped. They take root in the mucus membrane lining of the sinus region and/or nasal cavity, the researchers said. 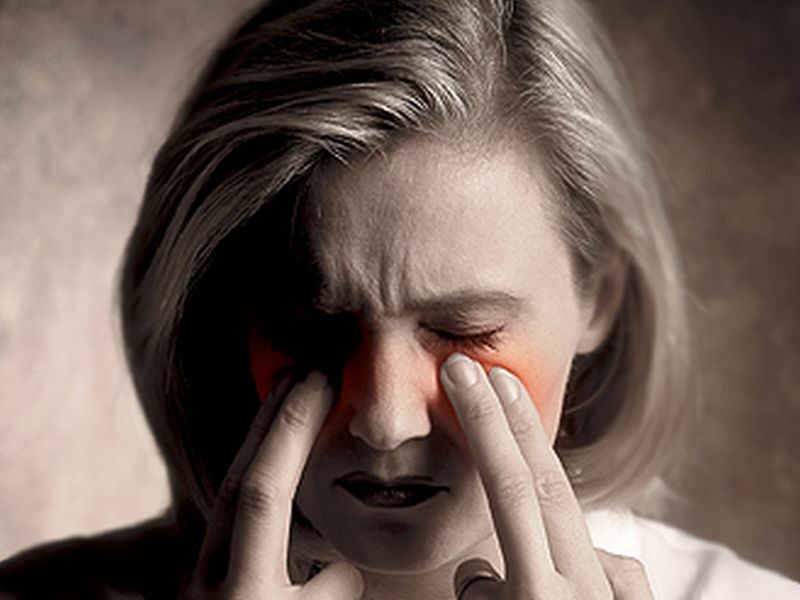 Patients suffering from chronic sinusitis with polyps often struggle with a long-lasting range of symptoms, which can include nasal obstruction and congestion, drip, discharge, headaches, facial pain and pressure, and a diminished sense of smell. Standard treatment aims to reduce tissue inflammation and usually involves corticosteroids, antibiotics and/or oral steroids. Surgery is an option in some cases. "Even after oral steroids, polyps recur after just a few weeks, and also after surgery. The recurrence rate is as high as 80 percent over 12 years," said Bachert. Surgery also raises the risk for serious complications, he added, while oral steroids can end up weakening bones and boosting the risk for developing diabetes. With that in mind, the Belgian researchers decided to test the potential of dupilumab, an experimental medication that has already shown promise as a treatment for both severe asthma and the skin rash known as eczema. The research team focused on a pool of 60 patients, average age about 48, who were being treated at 13 different health care centers in the United States and Europe. Half of the participants received a 16-week regimen of dupilumab injections, while the other half received a dummy drug (placebo). All patients were additionally prescribed a nasal spray, the study authors said. After comparing results among the 51 patients who completed their respective course of treatment, the investigators concluded that dupilumab triggered a significant and lasting elimination of polyps, and/or reduction in size. Patients who received the drug also appeared to see benefits in terms of an improved sense of smell, a drop in nasal congestion and obstruction, and improved sleep, the findings showed. "The effects of dupilumab are comparable or better than oral corticosteroids, but last much longer," said Bachert. He added that, in some cases, eliminated polyps didn't return for several months following the termination of treatment. However, he said that patients would ultimately require continued treatment. According to Bachert, the next step will be larger trials to help determine the best dosage of the drug, and to directly compare dupilumab with oral corticosteroids and/or surgery. Dr. Mark Glaum, an expert who was not involved with the study, said the new drug would likely be most beneficial for patients in whom corticosteroids have failed, leaving surgery as their only option. Glaum is an associate professor of medicine and pediatrics in the division of allergy and immunology at the Morsani College of Medicine, James A. Haley Veterans Hospital and the University of South Florida in Tampa. "In approximately 60 percent of cases of nasal polyposis, the polyps return even after they've been removed surgically," making surgery a less than perfect solution, Glaum explained. At the same time, Glaum cautioned that "the cost of dupilumab will likely be high, typically thousands of dollars per month. So the cost/benefit analysis will have to be tailored to patients who are still symptomatic after failing to improve with standard therapies."